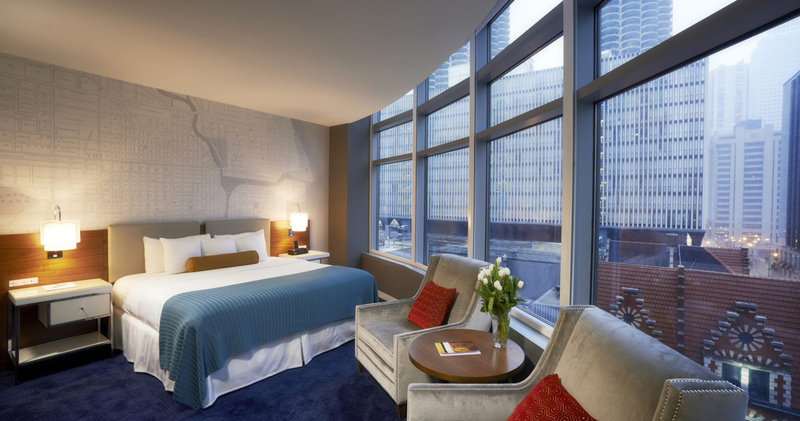 Located in the River North district, Kinzie Hotel is named after the famous Chicago settler and silversmith John Kinzie. 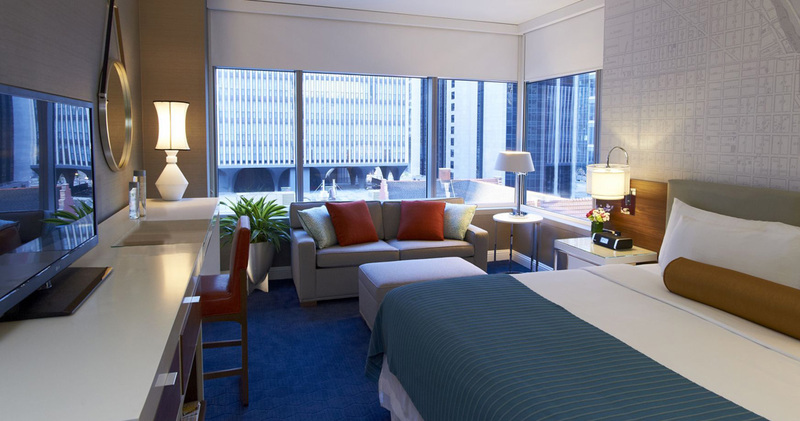 Kinzie Hotel strives to be Chicago’s leading boutique hotel, offering guests a bountiful selection of unique amenities and services. 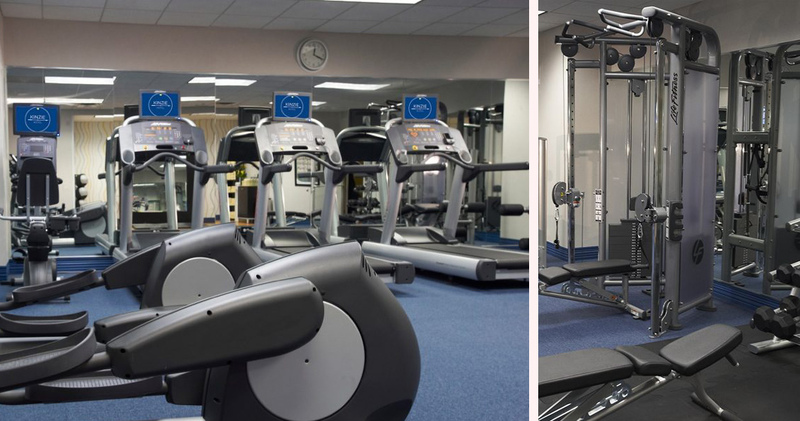 The hotel currently features 11 bespoke packages ranging from the Bird’s Eye View package (which includes a breathtaking helicopter flight above Chicago) to a Tiffani Kim Institute Spa package. 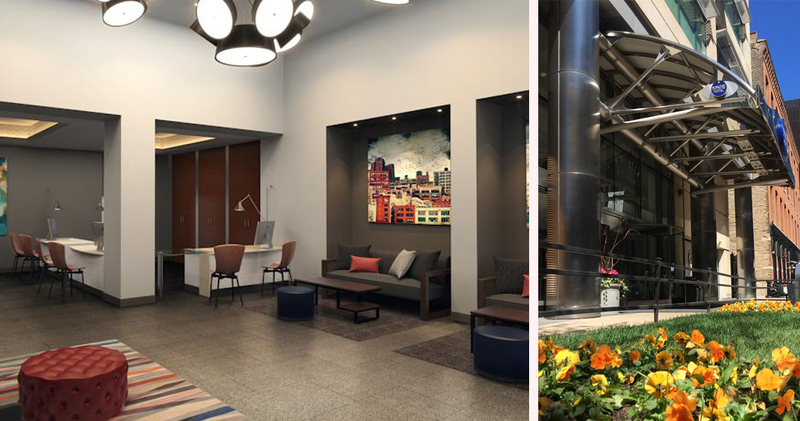 From its prime location, the Kinzie Hotel provides quick access to the Magnificent Mile, Merchandise Mart and many more of Chicago’s attractions. 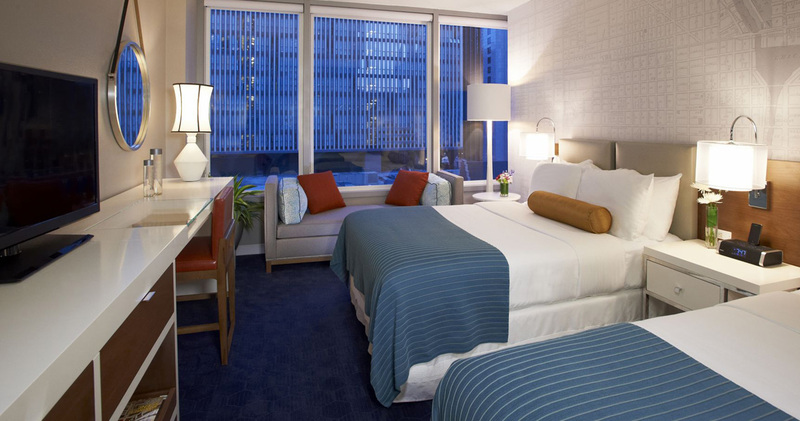 At the Kinzie Hotel guests can choose from a 324 square feet Deluxe King or Double Queen room, or a 625 square foot one bedroom suite. 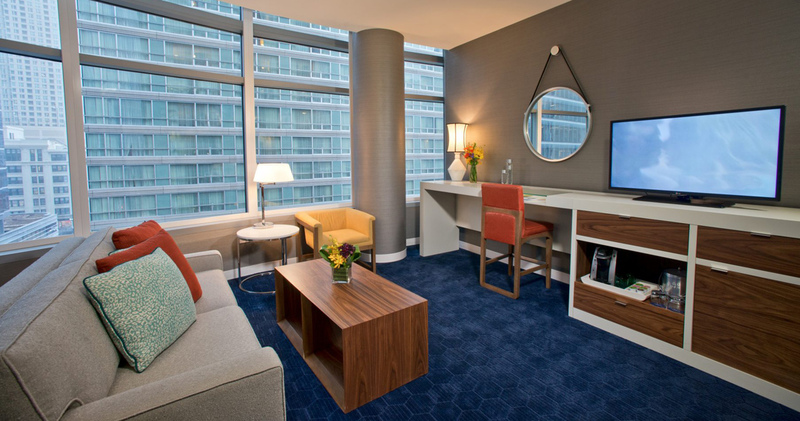 The living area of the suites also offers a pull-out sofa bed, and curved windows offering plenty of natural light. Each room features a spacious executive work station, 42-inch HD television and an assortment of gourmet coffees, teas and hot chocolate. 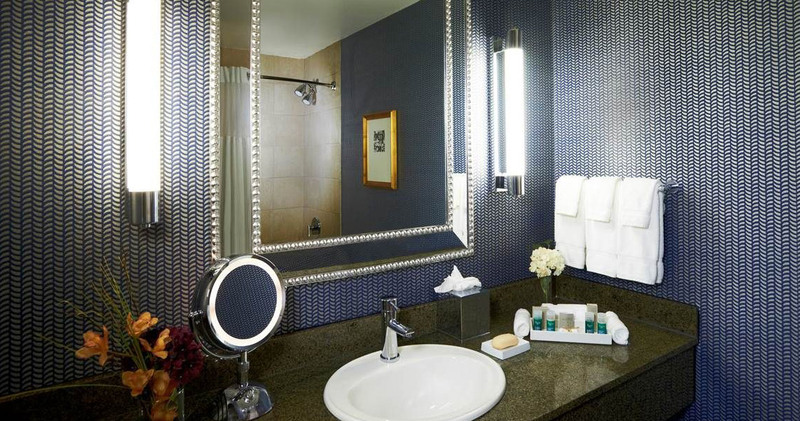 The bathrooms are equipped with dual showerheads and stocked with H20 Plus spa products. Murals of historical maps on the bedroom walls accentuate the stylish décor, and comfortable pillow-top mattresses guarantee a restful night. 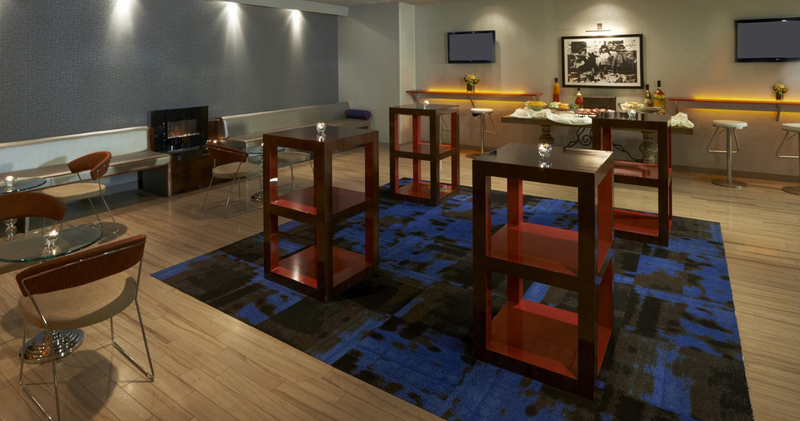 Thanks to a unique partnership with the famous Harry Caray’s Italian Steakhouse, guests can enjoy an outstanding meal without leaving the comfort of their room. Each day begins with a complimentary deluxe continental breakfast conveniently located on each floor and, for those that fancy a beverage later in the day, Kinzie Hotel offers cocktails and complimentary hors d’ oeuvres from 5:00 to 8:00 PM in the Double Cross Lounge.